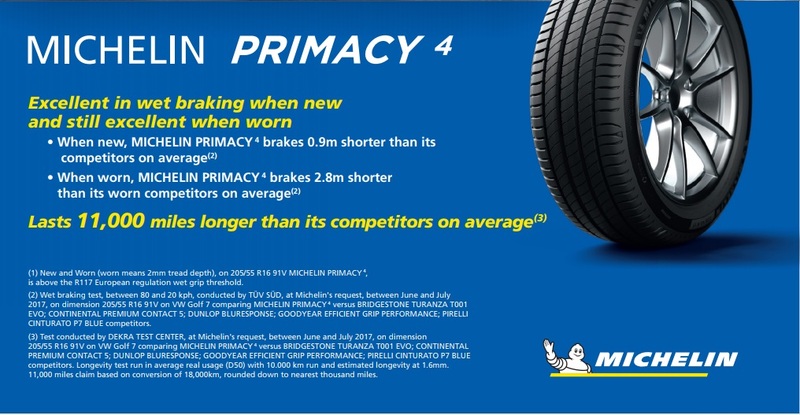 Introducing the new Michelin Primacy 4 Tyre, boasting superior safety and longevity. Due to the optimised sculpture and safety orientated design as shown in the video here. The tyre boasts long lasting performance and the latest generation rubber compound technology maximises wet breaking performance.